Contract manufacturing solutions that take you from quote to inspection so you can focus on growing your business. We team up with manufacturers from a diverse range of industries, machining parts so they can focus on growing their operation. The shop is stacked with CNC lathes, multi-axis turning and milling machines, grinding equipment, Davis Keyseaters, and more. View the full list of equipment here. Multi-axis CNC Milling allows for more accurate production in less time. With multi-axis machining, the part does not have to be removed from the vice, reducing cycle time and limiting variables that can lead to time-consuming mistakes and imperfections. 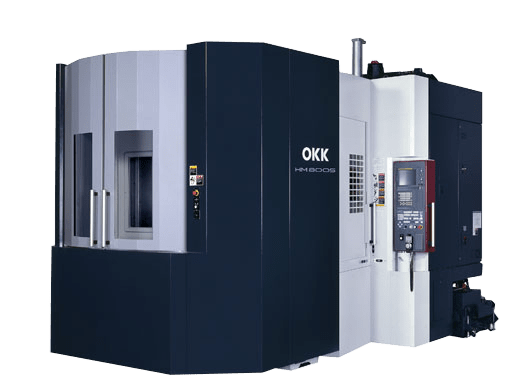 Hansford works with a wide range of multi-axis CNC milling machines from industry-leading brands like OKK Corp., Makino, and Matsuura. 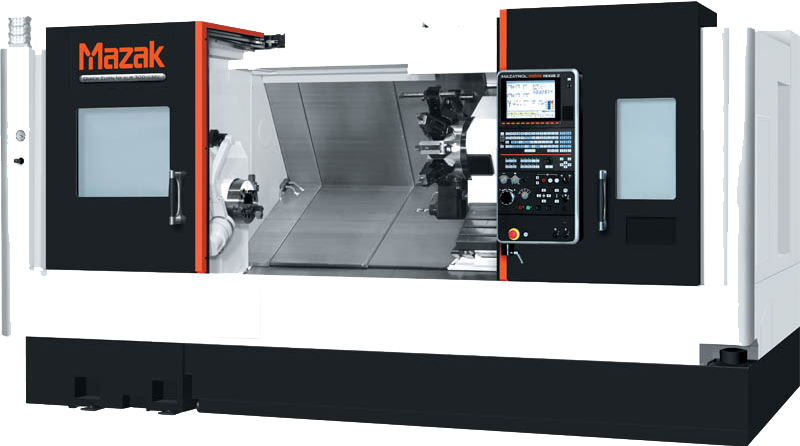 Similar to milling, Multi-axis CNC Turning creates accurate parts with short cycle times for components that require rounded surfaces. 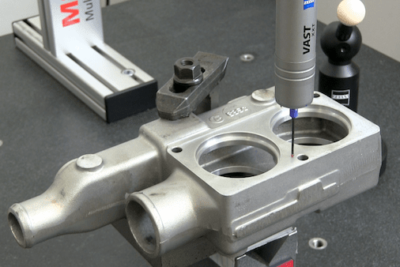 With multi-axis machining, the part does not have to be removed from the vice, reducing cycle time and limiting variables that can lead to time-consuming mistakes and imperfections. Mill-turning and turning (for completely round parts) available. 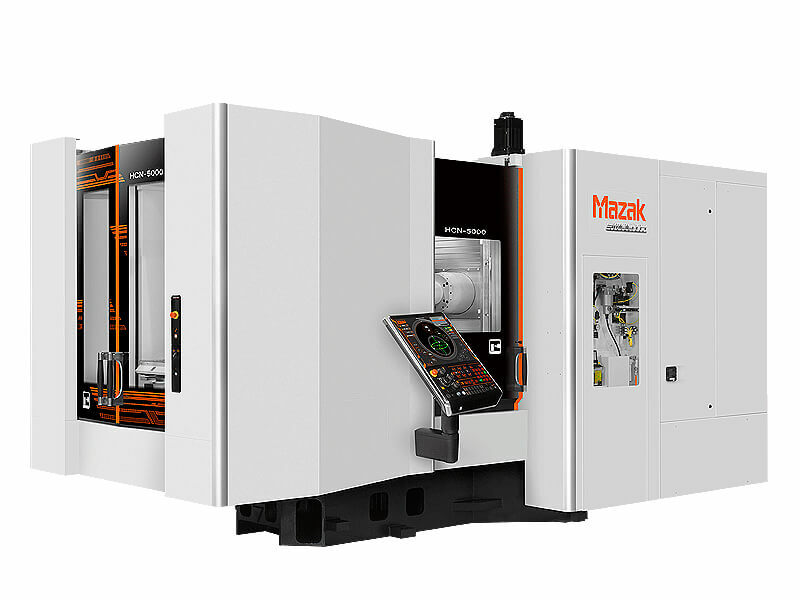 Hansford works with a mill-turning machine built by industry leaders, Mazak. Using Hansford’s flagship product, The Davis Keyseater, we can cut external slots and internal keyways. Multiple-tooth cutting action, a high stroke/minute count and ease of use allows our machinists to produce parts with short cycle times and unparalleled precision. The Davis Keyseater can cut keyways and slots for a wide range of applications in dozens of industries. To learn more about the keyseater capabilities, contact The Hansford Team and start a conversation. 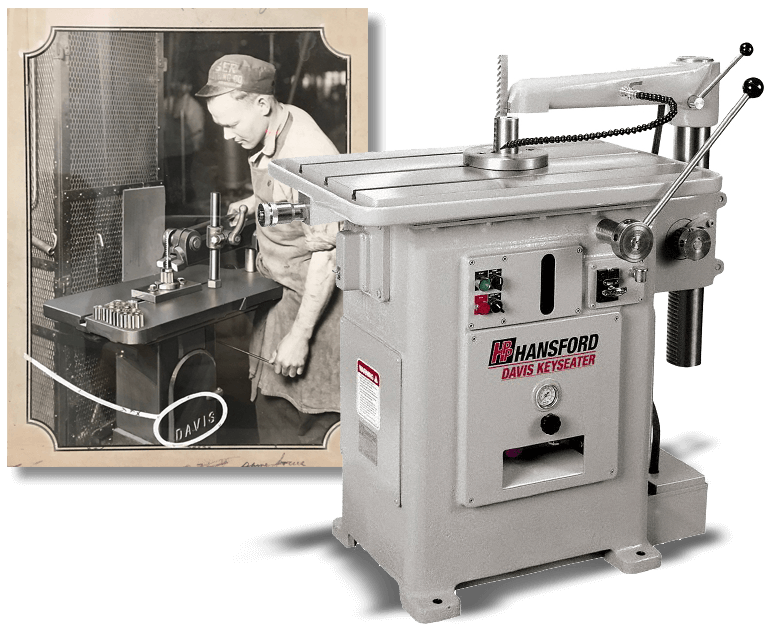 Hansford works with manufacturers through the entire manufacturing process. From sourcing the raw materials, to work with your designs or improving the process, to producing the component and inspection, Hansford does this every day. Let’s talk and see where we can create efficiencies for your organization. Hansford is equipped with CAD softwares that allow us to design parts to specifications and produce them with precision. This can help to speed up cycle time for contract machining jobs since we can work with your existing CAD designs and expedite the design process. SolidWorks is a computer-aided design and computer-aided engineering computer program used for designing precision parts. 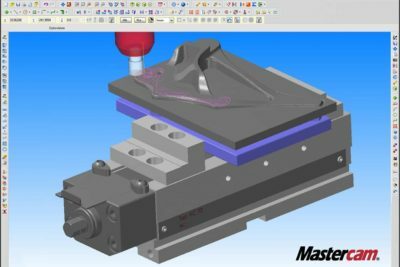 Mastercam is a programming software for multi-axis milling, multi-axis lathe, Mill-Turn, Wire EDM and routers. The Hansford Quality Lab contains one of the world’s most accurate and reliable CMMs available. The Zeiss Contura ensures your parts are built to the exact specifications. The broad platform from Zeiss allows for uncompromising quality assurance, with this latest generation offering a larger package of optical sensors even greater precision. The software that powers this inspection equipment allows Hansford to go quickly from a drawing to measurement inspections. This gives us an advantage since we are able to conduct a thorough inspection process much quicker, and much more accurately than shops with lesser inspection tools. Get in touch with Hansford by submitting a form on the website or calling us (315) 986-1000. Send a drawing, a description of your product or for fastest results, send an RFQ with a CAD model and we can get started conceptualizing and planning for your project. We put together a proposal with production details and timeline, which you can evaluate before we get started. Once your project is approved by your team and our designers, we’ll start sourcing raw materials (where necessary) and being the early stages of production. With materials in place, we’ll get to work machining your parts. If needed, we may send initial parts to you for a first article inspection process which allows you to ensure the component fits your application in the way you inspected. Before a part leaves our shop it undergoes a thorough inspection process with the tools mentioned above. 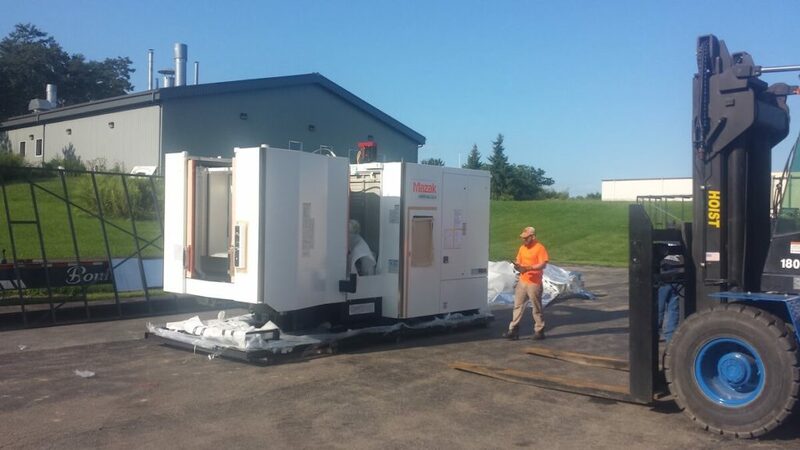 Both the experience of our engineers and the quality of our inspection products have helped Hansford become one of the most reliable and timely contract manufacturers in the Rochester area. Start a conversation with the team at Hansford and see if we're the right fit for your parts and applications.